Andrew Rossi discusses citizen science at the March 7, 2019 Lunchtime Expedition. Join us for our March Draper Natural History Museum Lunchtime Expedition lecture, when science communicator Andrew Rossi presents It’s not Child’s Play: Dinosaurs, Citizen Science, and the Experience Economy. The talks in this series are free, and take place in the Buffalo Bill Center of the West’s Coe Auditorium the first Thursday of the month. Paleontology continues to be one of the most popular of the natural sciences, and museums and universities are vying to capitalize on that success through new displays and engaging with the public. And yet, the actual science remains at a distance due to the technical nature and expertise required to work with fossils. How do you bring the public closer to the real science of dinosaurs? At the Wyoming Dinosaur Center, visitors are encouraged to participate in the preparation of specimens collected from various sites outside Thermopolis, Wyoming, through every stage of the scientific process. By doing this, paleontology gains greater exposure—and is exposed to new audiences. The public engages in rare and memorable activities with a personal investment that translates to long-term support by providing a unique experience. 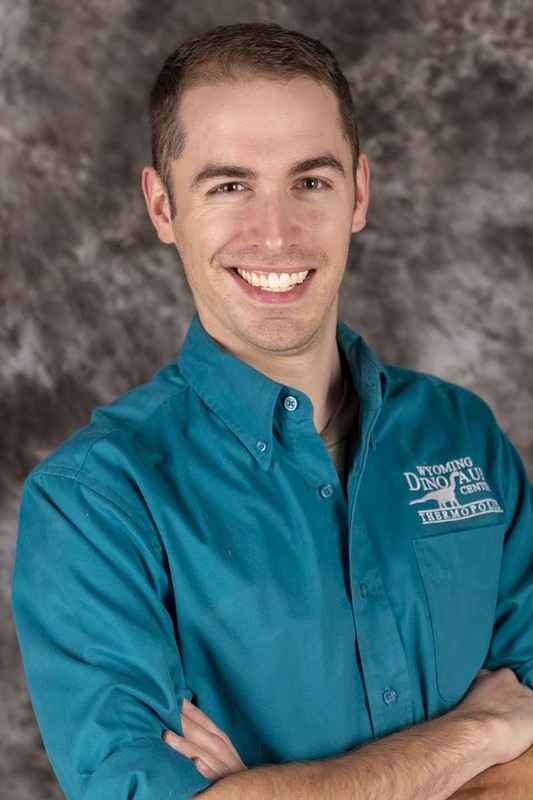 At this talk, Wyoming Dinosaur Educator Andrew Rossi explores the methods and programs that have consistently ranked the Wyoming Dinosaur Center as one of the best dinosaur museums in the world through the strength of its visitor experience. Andrew Rossi is an interpretive guide and science communicator who specializes in paleontology education in museums. He is currently a Public Relations Specialist and educator at the Wyoming Dinosaur Center in Thermopolis, Wyoming. He was previously an Education Interpreter at the Cleveland Metroparks Zoo, and Education Docent at the Cleveland Museum of Natural History. Rossi has collaborated with several organizations for paleontological outreach, including being a Content Creator for Google’s Cultural Institute, a featured consultant for Disney/Pixar’s 2015 film The Good Dinosaur, several collaborations with the Wyoming Office of Tourism, and featured articles by the Toronto Star and the Washington Post. He is currently directing the Cody Community Theatre’s spring/summer production of Into the Woods.